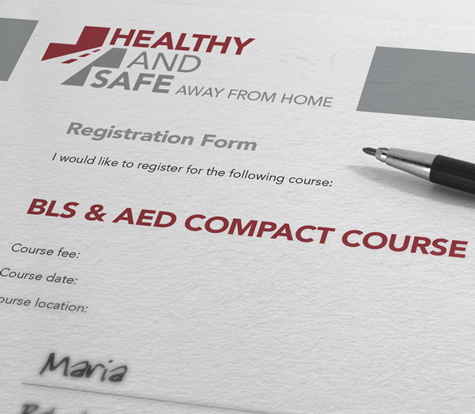 Healthy and Safe offers a variety of courses. Please sign up for the one you want to join by selecting one or more options from the drop-down menu. Please note that you accept the terms and conditions by filling out the form. Should you not find the course you want to sign up for, please write the course date in the message field. If you do not receive a personalised confirmation email within 48 hours of registering, please check your spam filter or junk mail box. Gmail users should check the “Promotions” tab in the automatic category tabs of their inbox as google often sorts emails to that tab. Yahoo users have also reported that they do not receive our confirmation emails, probably due to Yahoo’s email anti-spoofing policy. Please contact us if you don’t find an email from training@healthyandsafe.ch. If you are a minor, we require one of the parents to email us their permission for you to attend our courses and that they accept our cancellation policy. Please check the details of a course including course times and location before signing up. All details are provided under “Next Events“.